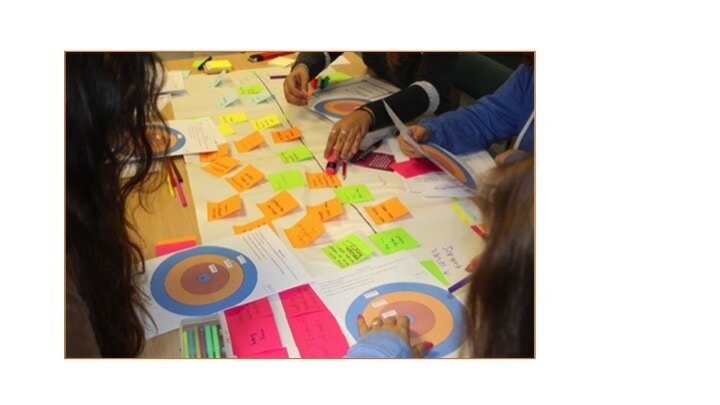 With funding from the NIHR CLAHRC EoE http://www.clahrc-eoe.nihr.ac.uk/ we used creative research approaches with young people in three NHS mental health Trusts in the East of England. The aim was to co-produce a programme to prepare young people for the leap from child and adolescent to adult mental health services at age 18. We ran two-day workshops to explore young people’s experiences and ideas, followed by production workshops in which young people brought the material together to make a more concrete plan for delivery. The workshops combined serious thinking and debate with lively and engaging activities in cohesive and creative but very supportive and safe group settings. Young people co-hosted workshops for clinicians, disseminated findings, co-produced a study poster at a national academic conference. Two participating Trusts are reviewing their procedures to incorporate the study findings.